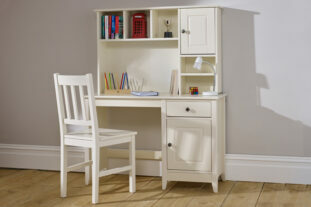 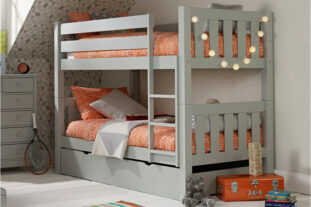 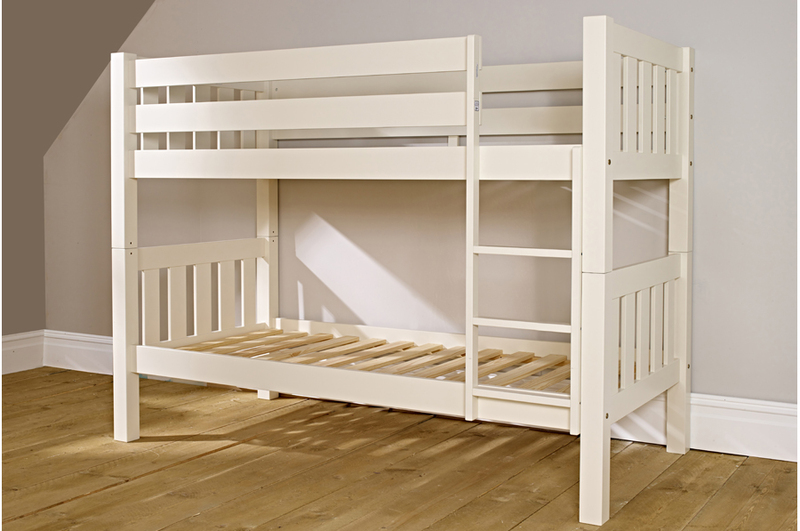 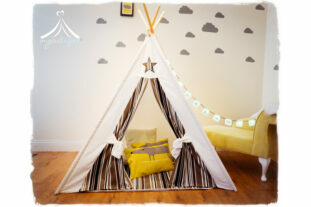 This thoughtful Jubilee room set includes the stunning Jubilee Bunk Bed, spacious Double Wardrobe and roomy 4+2 Chest. 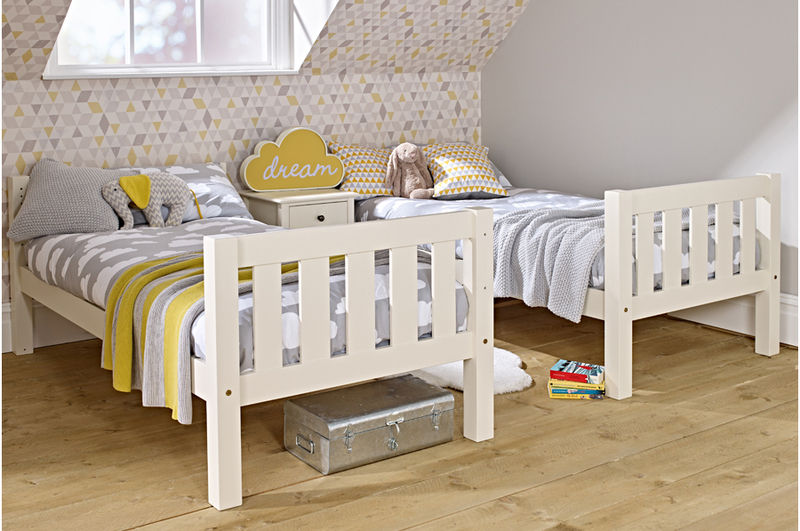 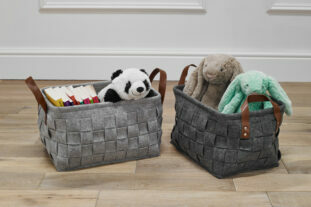 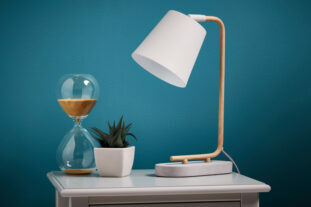 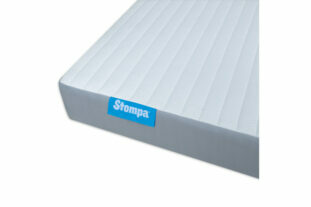 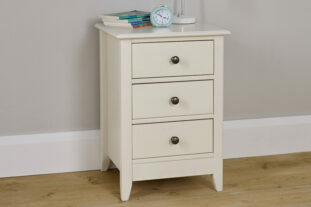 Saving on valuable floor space, this stylish bedroom collection has been designed to last throughout the years. 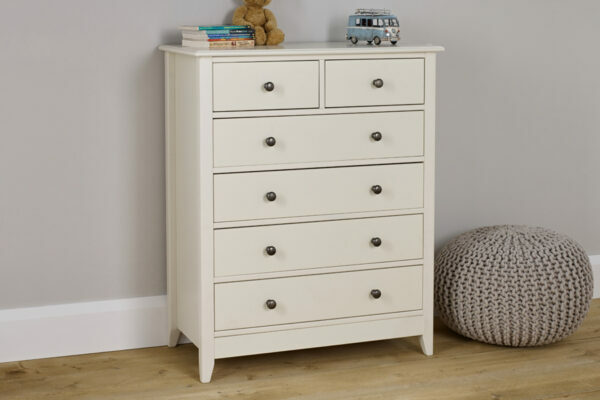 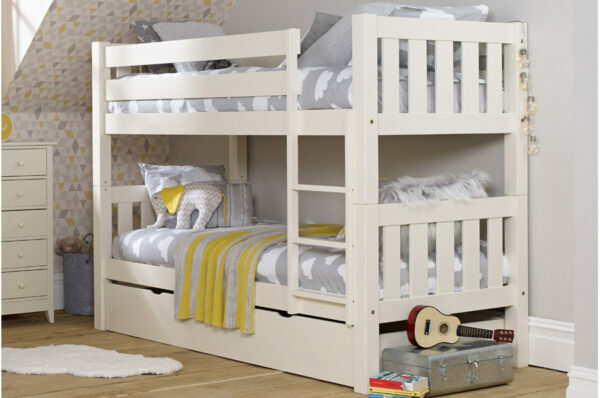 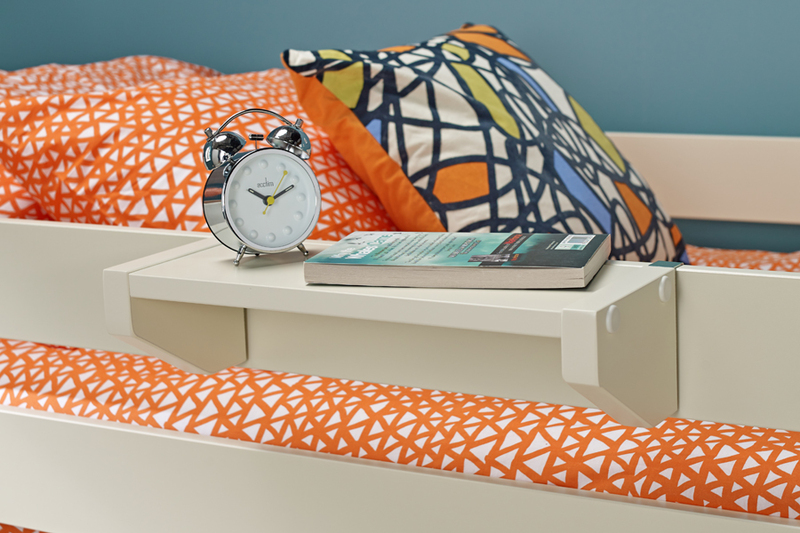 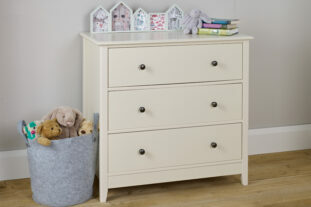 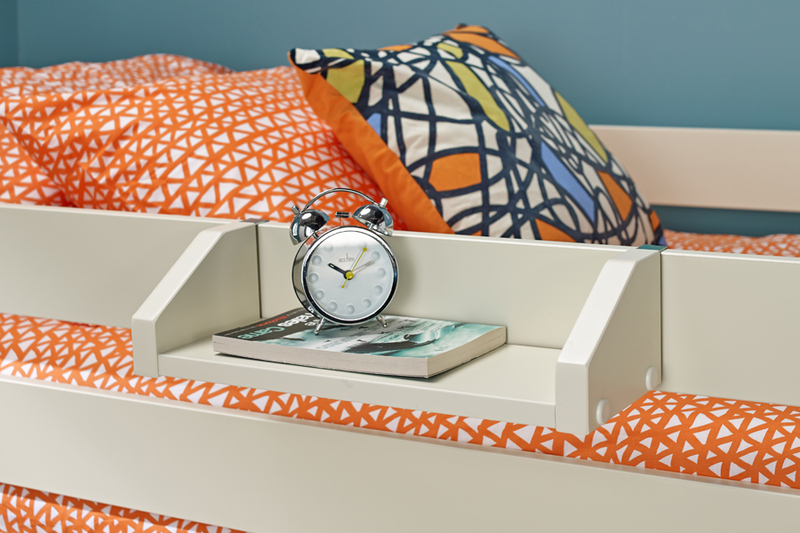 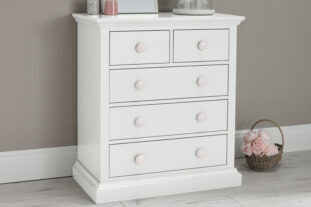 Finished in a soft Ivory White lacquer, this great bunk easily splits into 2 single beds and has the option of an trundle/ underbed drawer for handy storage or sleepovers. 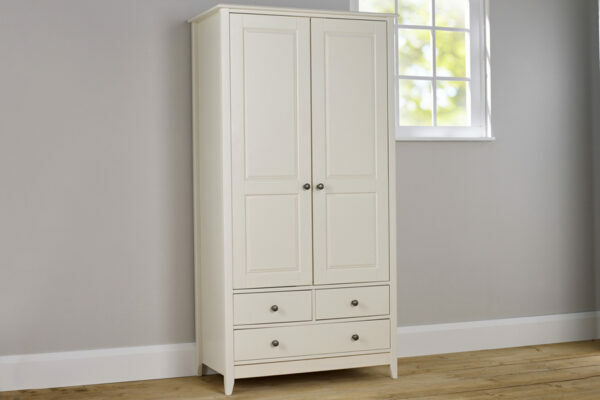 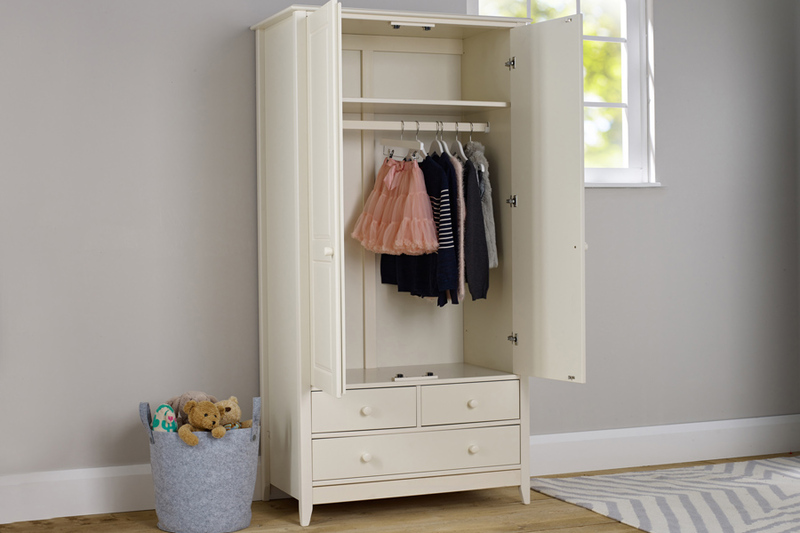 The wardrobe and chest comes with 2 handles options so you can choose to use either the wooden or metal styles to suit your taste.